Cheap flights from Luxembourg to Argentina from €529 return..! Air France return flights from the United Kingdom to Mahé, Seychelles £391! British Airways offer affordable solution from Luxembourg to Argentina in upcoming winter season 2018/2019. Based on BA promotion you can book cheap flighs to Buenos Aires already for €529 return. This fare is inclusive of all taxes, onboard meals but excluding checked luggage. At this great availability also during local summer (European winter season 2018/2019). Flights have one short layover in London on your way. Remember that you can not skip first leg of your outbound flight between Luxembourg and the United Kingdom..any flight you miss rest of your itinerary would have been cancelled..
You can compare all the cheapest travel dates to Buenos Aires directly at website of British Airways. Discount is available for flights departing from Luxembourg to Argentina from 1st of October 2018 to 9th of June 2019. There is blackout period for travels around Christmas Holidays. Max stay 3 months. Book this promotional deal with British Airways by 27th of September or until the cheapest flights last..Below you can refer to our booking sample if interested in this solution with British Airways. You can save some decent money off accommodation in Argentina when using following offers. British Airways currently run global sale from London to worldwide destinations. You can check this deal in this article. Booking sample of British Airways promotional deals to Buenos Aires below. 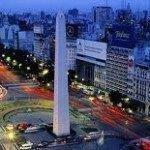 Right now you can book cheap flights from Luxembourg to Argentina from €529 return..! In this case you would depart from Lux to Buenos Aires on 25th of January. Inbound flight from South America to Luxembourg (via London, UK) on Sunday, 10th of February 2019.